Hello judges and happy new year! Once again we’re bringing you some updates and news from different parts of the program. 2019 will be a year of changes for the Judge Program. We’ve lost PPTQs, RPTQs, Nationals and the World Magic Cup. Grand Prix staffing continues to generate questions and we don’t know how MCQs and Wizards’s increased focus on MTG:Arena will impact the future of judging. However, we do know one thing: as long as there are events, there will need to be people to run them. The Judge Community is made up of tournament experts with over a hundred thousand events worth of experience. That’s why we’re creating a new initiative to broadcast the value of that experience to Tournament Organizers at all levels of organized play. This initiative is called the ‘Outreach Sphere’. The goal of the Outreach Sphere is to help Tournament Organizers understand the value that certified judges add to their events, and promote judges in stores and at larger events. It will also communicate with Local Game Stores to identify their needs and work with the other initiatives in the Program to ensure that those needs can be met from local FNMs, through MCQs and above. When Tournament Organizers are considering an event to run, regardless of if it’s FNM, Store Championship, Local Comp Rel Series, or even an Arena LAN party, we want Certified Judges to be the people they call upon to provide a fair, fun and quality play experience for their players. The creation of the ‘Outreach Sphere’ is part of a multi-discipline approach to refocus and re-energize the Judge Program on creating excellent events of all event sizes and judge levels, and each Sphere needs a Sphere Lead. Unlike previous Sphere Lead positions, we will be accepting applications from L2 and L3 Judges. This is in recognition that this particular Sphere takes a different set of skills than what is required to become L3, but we still want the judge to have sufficient exposure to the various aspects of the program. While all Sphere Leads have oversight and provide guidance to a Sphere, this is a new sphere. And with it, the Sphere Lead, and their team members, get to help create something from the very beginning. However, like many sphere lead roles, this position is wholly within the Judge Program. There is no association or contract with Wizards of the Coast. If you are interested in applying to be the sphere lead, you may do so here by Feb 18, 23:59 PST. The first step in the application process involves a series of common questions. The answers to those questions will be evaluated by the selection committee, and based on those answers, candidates may advance to Phase 2, where they will get specific questions based on their application. Candidates who make it to Phase 2 will be notified on on Feb 25th, with a goal of announcing the selected judge on March 11th. We expected to announce the next Program Coordinator selection process on the first day of February. Unfortunately, due to circumstances beyond our control, we have to postpone this selection process until further notice. We realize this announcement will generate many questions, but unfortunately we have no more information to share at this point. Riccardo Tessitori and CJ Crooks were set to finish their terms at the end of March. We hope to have more information to share prior to that time. The end of the year is a period of analysis of what we achieved during the year, and our plans for the next year. The certification level in the judge program is a simple number that quickly conveys the mix of skills, commitment, roles and responsibility of each of us. It’s therefore normal to see judges increasing their level as they become more expert and choose to be more committed, and also judges decreasing their level if their time available decreases or even say farewell to the Magic tournaments and judge program when their other life activities need all their time and attention. The level maintenance projects are designed to verify the activity level of each judge and, with some analysis of skills and performance, levels are readjusted to make sure that the numeric level remains a reliable and current representation of skills, commitment, roles and responsibility. In the last year and a half, L3s skills and activity have been analysed, and their current number is 144, with 32 former L3 judges being reassigned to other levels or becoming uncertified. 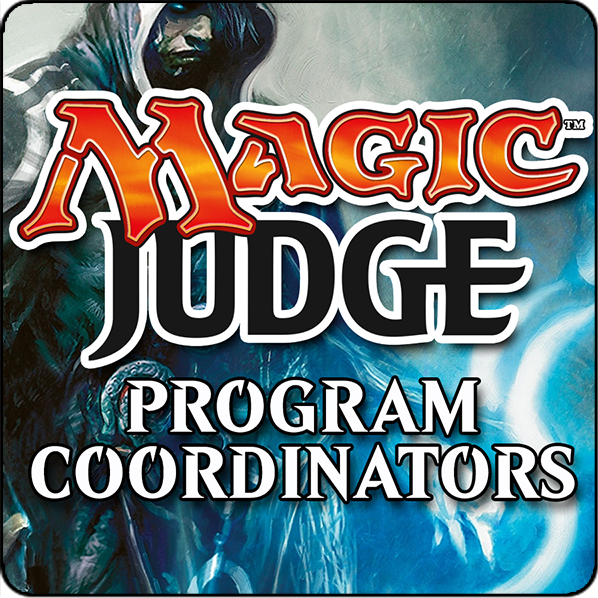 The Magic Judge Program has lots of moving parts. The sizeable moving parts are divided up into Spheres . Sphere Leads are responsible for helping guide and set goals for projects in their respective areas. However, even leaders need help and support. During an internal end of year survey amongst the Sphere Leads, the PCs received feedback that more frequent check-ins, offers for assistance and guidance were welcome. Here is a summary of the recent Advanced Roles rotations. The Grand Prix Head Judge selection process took place. All renewing applicants were successful. Read the announcement here. Eric Levine was chosen as the new Judge Conduct Committee Lead. Read the announcement here. The 2019 Judge Conduct Committee was selected. Read the announcement here. Brazil has a new RC: Bruna Chiochetta was chosen after Vinicius Quaiato announced his retirement from the role. Read the announcement here. We had our second Program Coordinators Q&A session on JudgeApps! We all learned important things about gummi bears and the future of the program. Read the questions and answers here. The timing of the next Q&A will be announced later. Judges love rules. New sets and new decks bring new interactions that we need to become informed about. David Elden and his “Judging for the Win” blog is an ongoing series of posts that help present this new information to judges. Each set has a article that presents rules interactions for new cards. Updates also include interesting IRL calls from recent events. He also highlights new mechanics and complicated interactions in popular decks. We recommend you check out the great resource. We finish this article with a little teaser: recently the Program Coordinators have been working on two documents: recommended dress code for judges, and event staffing guidelines for Tournament Organizers. We plan to publish these documents soon.